FreeDream 2010 is a free, colorful and translation-ready standalone WordPress 3.5+ theme based on almost all the handy functions from the default Twenty Ten WP theme – released under the GNU license and now also available from WordPress Theme Directory! The FreeDream 2010 Theme for WordPress 3.0+ is stylish, customizable, and readable, with rounded corners – make it yours with a custom menu, and a background. FreeDream 2010 supports six widgetized areas (two in the sidebar, four in the footer) and featured images (thumbnails for gallery posts). It includes stylesheets for print and the admin Visual Editor, special styles for posts in the “Asides” and “Gallery” categories, and has an optional one-column page template that removes the sidebar. Basic Setup of this Full Version Theme. 1. Upload the FreeDream 2010 Theme folder to your /wp-content/themes folder. 2. Activate the theme from the WP Dashboard. - Default the page-links start from the right! 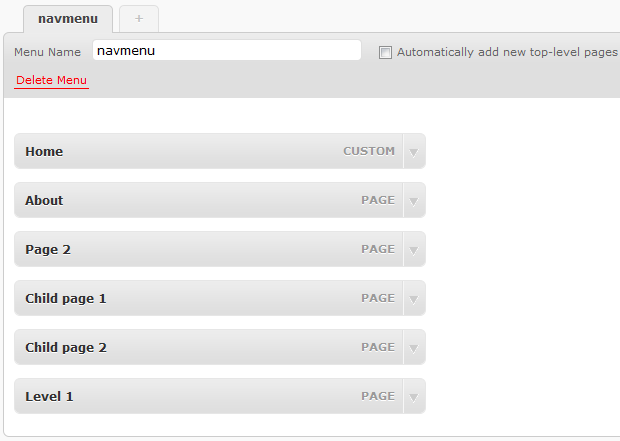 Use the Menus function in Dashboard/Appearance to rearrange the buttons and build your own Custom-menu. DO NOT USE LONG PAGE NAMES, Maximum 14 letters/numbers incl. spaces! - Read more more about Menus here. - Uncomment the lines in the sidebar.php, if you want to provide your twitter link. Replace YOUR_TWITTER_NAME in the URL with your own profile-name. 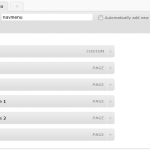 This WordPress 3.0+ theme is released under the GNU license! Good job madzzoni! The theme is quite colourful yet readable. How can I insert a second menu below the header? I need the main one for pages and this second one for categories. Can you help me? @cesca: You ned to edit the header.php and style.css if you want a second menu with category links. This theme is offered as is! WARNING WP_DEBUG is not enabled! Please test your theme with debug enabled before you upload! RECOMMENDED: No reference to the_post_thumbnail() was found in the theme. It is recommended that the theme implement this functionality instead of using custom fields for thumbnails. RECOMMENDED: No reference to add_custom_image_header was found in the theme. It is recommended that the theme implement this functionality if using an image for the header. INFO: Possible hard-coded links were found in the file sidebar.php. I Do not know the Theme-Check Plugin! This theme is tested and approved by the WordPress System, it’s working fine for me and many other users, – Do you have a problem with post_thumbnails or other issues ?? 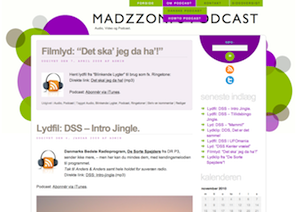 The FreeDream 2010 theme is a Rebuild of the default Twenty Ten Theme, but without the “add_custom_image_header” option. I really like your theme, however, when I try to use the ‘One column – no sidebar’ page template, the container just disappears. Is there any way to work around this issue? Thank you. Do you want to use the “One Colomn template” on every Content/pages on your site? I love this theme but am having major problems with the category and comments functions. On my blog posts I don’t have a comment box. When I use categories for my posts, they link to a blank white screen. I’ve read the documentation but wanted to come to the source – even if it is in German. I am getting frustrated. Please help. Thanks. I am currently using this theme on my blog and I have a problem. I removed a piece of the code accidentally (I think) when taking something out and I now have an error message that is visible on the blog AND the footer images are gone. Is there anywhere that I could get the original code so that I can start over? Hello Jen, Just upload (And overwrite) the Theme-files again via FTP, – or via the WP Controlpanel, delete the current theme and install again from “Add New” theme function. Thanks for your recognition of the Theme. How did you install the theme? The BG file should be in /Themes/Freedream2010/images/background.gif directory of your WP installation. and upload the BG manually from that pkg. Thank you for creating a colourful theme! I do love the colours. On the right column, the different headings are really light grey and difficult to read. Is there way that these can be changed to be more colourful?? When I highlight them, they are nice, bright blue – which I’d love. Colors in the style.css file ! Thank-you very much – this theme suited my needs perfectly – except I can not get the Shareaholic plugin to work – can anyone else get it to work – is it me? or does the theme restrict it? Thanks for the awesome theme. I have a problem with the search form. My blog is in sub directory. Search does not work. Takes user to main domain, not sub domain. Code change? Jeg forsøger mig med at skrive på dansk, for jeg har et par problemer jeg ikke kan løse. Som du kan se http://www.jannetholstrup.dk har jeg ændret lidt i designet. Jeg kan dog ikke få arkivet til at virke. Kan det have noget at gøre med at arkivet er importeret fra en tidligere wp blog? Kan det have noget med posternes navne at gøre? Har du nogen ideer til, hvad det kan være der er galt? Janne, Du bruger det ældre tema “FreeDream”! Hent FreeDream 2010 her fra siden eller inde fra WordPress/temaer. I love this theme, but want the sidebar headers darker too…..I tried to look for the place in style.css to change the color, but can’t find it. Could you show me the code with the color I need to change? Thanks so much. LOVE it. This theme, again, is awesome. I am having trouble though making on my home page a css div box. Any suggestions? I see the text is “content” but I’m not sure how to break the text out that’s just relevant for the home page text to get this to work. Hi, I installed this theme for one of my clients. She needed exactly these colours. I set the homepage to her website, and installed her website on a different server and with a different address. I added another page, and suddenly all the pages redirect to her main website. How do I fix it so that it works again? The home page should go to her main website, but all the other pages should be where her blog is installed. It shouldn’t automatically redirect. 2- Is there a way to add a logo image into the header? 1- Is there a facebook button to use instead of twitter? 3- Where do I insert my tracking info for Google Analytics? Thanks for your good work. Your theme looks great! Unfortunately it looks like I can’t install and use any plugin. never had this problem before. As this happened with three different plugins, the first error also with Akismet I think it’s unlikely that it’s just an error in the plugin code. Thanks for you answer and thanks again for your beautiful theme. For some reasons the permanent warnings and errors stopped. Just the error message when installing a theme – no matter which one – remains. But I could live with that if it only occurs there. Thx. i’m glad U like the theme … I suggest U deactivate all your Plugin’s and reset to Default WP-theme, – then reactivate it all again. This may help U. Does Freedream2010 work better with 3.0? Should I downgrade? Erasing the plugin directories through FTP didn’t help either. -The funny thing is: I cannot log in, but all the frontend pages and blog entries are displayed without any problem, neither warning nor error messages. I love the layout, simplicity and “pop” of the graphics! I would like to change the purple, grey and green colors to match that of my girls running logo. I accessed the style.css sheet, as you referenced above to another developer, and changed MANY of the codes to the color codes i desire. The title changed as desired but i cannot figure out how to change the color of the circles. I am a complete novice. Second, the title of my site is long and therefore is shifted too far to the right. Can that be adjusted left? Your work is ART! Thank you! Thanks for this Beautiful theme! Thank you very much for such a great theme! I absolutely love and am using it for my website. I do have one question though: how can I change the sidebar allignment to center instead of left? I have a widget that I placed in a Primary Widget area, but because it is smaller that the width of the sidebar it looks kind of off. I would really like it to be cimmetrically right underneath the purple circle. I really appreciate any help! Thanks! Hi Katya: I’m not sure i understand what you mean here? Would you like to change the hole Sidebar to “center” or only one widget? My preference would be to chnage the entire sidebar to center. How can I do it? This is really the third blog, of urs I actually read through.